be shaped by the people themselves to realize their dreams. at 9.45 pm and will then be followed by a global release. the world in the December 2007 elections. perspective to the tale of corruption in Kenya. Festival and was screened at the prestigious Cannes Film Festival. Samuel Kimeu, in his address to the audience prior to the screening. the TI-Kenya Board Chair, Dr Richard Leakey. LOS ANGELES, July 12 /PRNewswire/ — The life of Oprah Winfrey, one of the most famous and influential persons in the world, is being made into a movie. Larry A. Thompson, acclaimed Hollywood filmmaker, is basing his story on the recent biography, Oprah, written by investigative reporter and international bestselling author, Kitty Kelley, and published by Crown Publishers, a division of Random House. Both Thompson and Kelley have extensive experience in the biographical arena of the world’s most revered Icons. In addition to Oprah Winfrey, Kitty Kelley has written bestselling biographies on Jacqueline Kennedy Onassis, Elizabeth Taylor, Frank Sinatra, England’s Royal Family, Nancy Reagan, and the Bush Family. Thompson has produced critically-acclaimed movies about Lucille Ball & Desi Arnaz, Sonny & Cher, and The Duke & Duchess of Windsor. His latest movie, “Amish Grace” is the most-watched and highest-rated original movie in the history of Lifetime Movie Network. The agreement with Larry A. Thompson Organization, Inc. for Kitty Kelley’s book, Oprah A Biography, was negotiated by her agent, Wayne S. Kabak. Larry A. Thompson Organization is a Los Angeles-based Motion Picture, Television, Talent Management, and New Media Production Studio. Larry A. Thompson, acclaimed Hollywood film producer, talent manager, attorney, author, and motivational speaker, is Founder and President. Visit www.LarryThompsonOrg.com and www.ProjectRiseandShine.com. Having managed the careers of over 200 Stars including William Shatner, Joan Rivers, Scott Hamilton, and David Hasselhoff, and having produced 19 Movies for Television, including CBS’s “Lucy and Desi: Before The Laughter,” ABC’s “And The Beat Goes On: The Sonny and Cher Story,” CBS’s “The Woman He Loved,” the Royal Romance of the Duke and Duchess of Windsor, plus 5 Motion Pictures, 2 Television Series, 8 Television Specials, and various Series Pilots, Thompson has received the Industry’s prestigious Vision Award and his productions have received Nominations for 8 Emmys, 6 Imagen Awards, 2 Prism Awards, and a Golden Globe. He is perennially listed in Who’s Who In America and Who’s Who In The World. IMDB For more info. Also visit Random House www.crownpublishing.com. Source: Larry A. Thompson Organization, Inc. The origin of beauty pageant competition dates back to only when God knows. The insurgence of many pageants in Nigeria which do not basically look out for the natural endowment of shape, size and brain is gradually loosing the prestige, but for personal aggrandizement. When Agbani Darego was crowned the Miss World in 2001 I gave Silverbird Productions Limited my kudos and also much credit must be given to the then Pageant Manager Mrs. Joan who contributed in no small measure to nurture and groom Agbani to attain the enviable height of global stardom. I agreed she deserved the crown, because I followed the competition live on television. Her victory as Miss World is not because she was more physically beautiful than other competitors but for her good instinct and intelligent answers to the questions asked (you don’t crown a dummy queen). But today all our saints and knights and what have you have conjured their own exclusive pageants to stream out young girls who come in turns every other year as their bed mates in the name of promoting their products and fashions. It is very damaging to the future of our young Nigerian girls who joined the competition genuinely to flaunt their natural God given nature to pursue their dreams as big time models and in furtherance of their education, but unfortunately they are now being exploited due to the harsh economic turndown of the country. You might be a moneybag, but you should stop taking advantage of these innocent young girls in the name of making them stars. Agbani Darego won the Miss World Pageant in 2001. 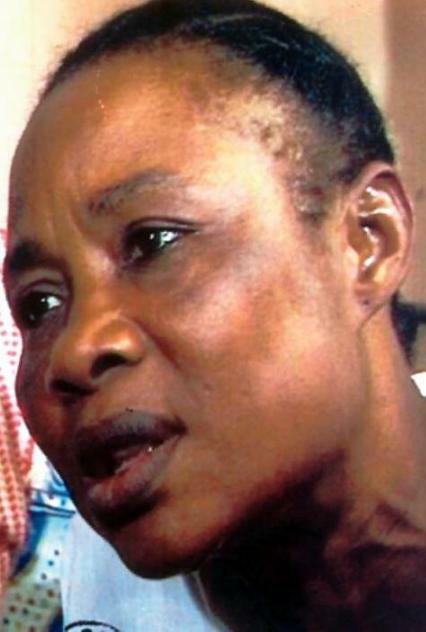 One of the most accomplished actors in Nigeria, star actress, Toun Oni,67, passed away last Wednesday. She would be remembered for her outstanding roles in Nigerian TV drama series Acada Campus, Checkmate, a popular soap opera on TV , Tunde Kelani’s Oleku Kunle Afolayan‘s film, Irapada, and Amaka Igwe-produced Fuji House of Commotion and so many other stage productions, TV drama and movies. Akeem Lasisi of The Punch remmebered her and noted all her accomplishments. You can read the tribute to Toun Oni on the website of The Punch. Supple magazine sends condolences to the bereaved family and it would be worthy to dedicate a Toun Oni Prize for the best actress of the year in Nigeria. LONDON, July 9, 2010/PRNewswire/ — Legendary playback singer and songwriter Sonu Niigaam has today confirmed that he will make a rare personal appearance in the UK when he tops the bill at The Asian Awards at the Grosvenor House Hotel, Park Lane in London on October 26. The variety, emotional range and sheer power of his internationally acclaimed voice have earned Niigaam a huge global following. A Bollywood icon, his many songs for movies, as well as his award-winning Indi-Pop albums and other varied musical collaborations, have put the 36-year-old firmly among India’s most successful and endearing stars. The Asian Awards, in partnership with Lebara, is a prestigious new global event saluting achievement and excellence by individuals born in or with direct family origin from India, Sri Lanka, Pakistan or Bangladesh. Unusually, members of the public are able to share in the celebration and tickets are available to buy online at http://www.theasianwards.com. Winners of The Asian Awards will be selected by independent judges chaired by Baroness Verma of Leicester, a Government Spokesperson in the House of Lords. Born in Amritsar in Punjab, India, Lady Verma moved as a child with her parents to England in 1960. “I am delighted in giving The Asian Awards my wholehearted support. This remarkable event will recognise the incredible talent of incredible Asians and I am truly honoured to be associated with it,” said Lady Verma. The Asian Awards, a partnership between United Business Media and Indian businessman Paul Sagoo, supports Save the Children as its official charity partner. The world première of GuGu E. Michaels’ Unge’s War thriller will be at the Eko International Film Festival (EKOIFF) tomorrow July 8, 2010, at the Genesis Deluxe Cinemas, The Palms, Lekki, Lagos, Nigeria. Unge’s war is a story about Ukah (M.J. Mathias) the greatest warrior of his generation who needed his son Unge (Five times world martial arts champion, Leo U’ Che) to carry on his blood line. Unge being a puny man amongst giant warriors, have to prove that it’s not the size of a man that makes a great warrior. When Unge goes to war he’s woman Adani (Matilda Godson) befriends the prince (Eric Anderson) of her villages. Unge leads his army against the most skillful warrior of his time Kwamme (Hoomsuk) Get ready for masterful fight sequences that will leave audiences at the edge of their seats. Directed by international action director GuGu E. Michaels. Unge’s War is an epic-action adventure, that will leave you breathless. GuGu E. Michaels is an International Action Director that has written and directed over 6 feature length pictures. GuGu E. Michaels’ vision is to improve Nigerian movies and their style, to an international standard, in order that Nigeria can truly be recognized for quality international movies. It is his belief that with solid scripts, good directing, professional cinematography, good acting, good audio, good sound design, good editing, professional music score and color grading Nigeria will be able to show the world that Nigeria has truly arrived in the world of international movie making. GuGu E. Michaels aim to use this picture “Unge’s War” to garner the attention of major global studios into investing in the Nigerian market. That is what prompted him to open a production house “Gu International Pictures (G.I.P)” along with his partner Christian Nwankpa, the due plans to shake the world with Nigerian movies. The inaugural Eko International Film Festival (EKOIF) opens Wednesday July 7 at the prestigious Genesis Deluxe Cinemas at The Palms in Lekki, Lagos. Award winning filmmakers from Germany, UK, Spain, France, Albania, Kenya and Nigeria are participating in the film fiesta with over 25 films including the thrilling Glamrock City and the King of Palma. The thrilling tale of the femme fatale, “ART ET DECES aka Glamrock City,” written and directed by Christophe Kourdouly and Stéphane Jauny, opens the film festival and to be followed by the screening of other films from Wednesday to the closing day at the weekend. The following is the list of the selected films. Duration:19minutesSynopsis:winter,every nigh in the city streets, on unknown person is brutally murdered. There is no relation between the victims, no purpose no evidence. Synopsis: For better or worse, Nothing escapes my will. Cap is the oldest to grave digger in the cemetery. Used to working amidst the suffering of others and the jokes of his colleagues there is only one person capable of taking him out of his daily routine. Every month for the last couple of years he has waited for months to take flowers to the groove of her husband. She is his last hope. Synopsis: Balcony Boy, poor balcony boy. His fault? Having big ears. His bad habit? Putting his head where he shouldn’t have. Synopsis: During the holidays at his grandparents village, John meets Mary, a mysterious girl who tells the terrifying legend surrounding the peasant’s old house. John, unlike the character in the tale is fearful, Mary is not. Synopsis: He’s crazy about food; she’ll do anything to please him. A perfect romance as long as something is in the fridge. Synopsis: Sara encounters her boyfriend Fran, who died in a car crash six months earlier. A mysterious and breathtaking develops as Fran employs a hypnotic seduction game in order to convince Sara that he is real and that they can be together again. Synopsis: After a dispute, a young woman leaves her older boyfriend’s comfortable apartment. She has nowhere to go, so she wanders the streets aimlessly, eventually ending up in a café where she has a random encounter. Synopsis: Ana wakes up in an old abandoned stable; next to her, there is a mysterious girl who seems to have been there for a long time, but the only thing she can find out about her is her name: Irina. Ana will try desperately to get Irina’s help to escape from their captor. Synopsis: Violeta Largertija is a great prima donna with social phobia. Violeta can neither speak nor relate by anybody that knows her, with her lovesick character, she survives feeding on tranquillizers. Bertlo is crazy in love with Violeta, but he knows her problem and has a plan to know her. TICKET: NGN5, 000 PER SEAT. CALL 234 8033036171 FOR RESERVATIONS. 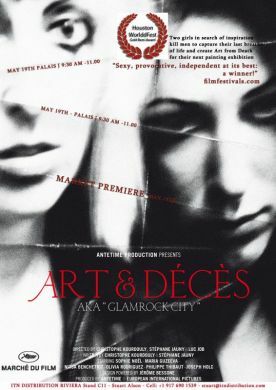 A thrilling tale of the femme fatale, “ART ET DECES aka Glamrock City,” written and directed by Christophe Kourdouly and Stéphane Jauny, screened at the Marche on May 19th. Produced by Antetime Production, the film is of two girls who in search of inspiration kill men to capture their last breath of life and create Art from Death for their next painting exhibition. The film showed great emotion and an intriguing plot line that keeps your attention. In a twist, the directors listed above, including the third director, Luc Job, casted themselves into the final scene. An emotional and riveting tale, Glamrock City is a story of love taken to the extreme. VENUE: EKO INTERNATIONAL FILM FESTIVAL, GENESIS DELUXE CINEMAS, THE PALMS, LEKKI, LAGOS, NIGERIA.